The most interesting game was a derby match between two local teams from Asuncion: Olimpia (#1) and San Jose (#2). San Jose was smashed at home by 16 points 84-100 and even the fact of playing on their own court did not help. It ended at the same time the nine-game winning streak of San Jose. Undefeated Olimpia (18-0) have an impressive 18-game winning streak. Defending champion maintains first position with a perfect record of 18 victories in a row. San Jose at the other side keeps the second place with two games lost. Campo Alto (#5) was upset in by eighth ranked Felix Perez 81-65. Felix Perez (4-12) moved-up to seventh place. Campo Alto at the other side keeps the fifth position with ten games lost. Bottom-ranked Dep.Internac. (0-17) is still winless. This time they could not use their home court advantage losing their 17th consecutive match to third ranked Libertad (13-4) 84-65 on Friday evening. Libertad have an impressive six-game winning streak. 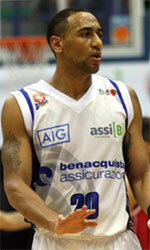 They maintain third position with 13-4 record having just thirteen point less than leader Olimpia. Loser Dep.Internac. still closes the standings. The game in Luque was also worth to mention about. 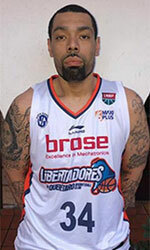 Fourth ranked Sol de America (9-7) played at the court of 6th ranked Luqueno (6-11). Sol de America managed to secure a 6-point victory 78-72. Sol de America maintains fourth position with 9-7 record. Luqueno at the other side keeps the sixth place with 11 games lost. The most interesting game was a derby match between two local teams from Asuncion: Olimpia (#1) and San Jose (#2). San Jose was smashed at home by 16 points 84-100 and even the fact of playing on their own court did not help. It ended at the same time the nine-game winning streak of San Jose. Olimpia (18-0) have an impressive 18-game winning streak. Defending champion maintains first position with a perfect record of 18 victories in a row. San Jose at the other side keeps the second place with two games lost.